Apple unveils iOS 8, other new features including Healthkit at developers conference. Google+ for iOS app gets Stories, photo-editing update. These stories, and more, in today's Morning Social Media Newsfeed. 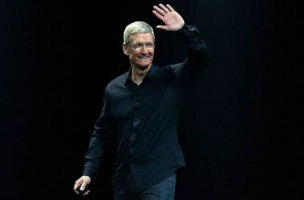 Apple used its annual developers conference to show where it is going next with its mobile operating system, including health care and home automation features, as well as an effort to make iOS and Mac devices work more closely together. Also shown off Monday were new features for messaging and notifications, a way for iOS apps to talk to one another and long-requested support of third-party keyboards. USA Today Apple CEO Tim Cook said 130 million customers bought an iOS device for the first time in the past 12 months, many of them switching from Android. In a jab at Android, he said they were seeking a better experience and a better life and had bought Android “by mistake.” The Wall Street Journal The new software for Macs, called Yosemite, is designed to look more like the operating system behind the company’s iPhone and iPad devices. Its new features include an updated Safari browser, the ability to use the Mac as a speakerphone, and a service called “handoff,” which lets users start an activity on one device and pass it to another. Apple also unveiled new operating software for its iPhone and iPad, called iOS 8, which now includes many features found in popular photo, messaging and email apps. The New York Times Apple also introduced a system called Continuity, which makes it easier to juggle content across different devices. For example, a user can connect a Mac and an iPad, making it possible to compose an email on a Mac, and then swipe up on the iPad screen to resume writing the same email. Reuters “The Healthkit has the most potential for the future,” said Nils Kassube, a director of development at Newscope, a Germany-based consulting firm. “Those of us that are interested in health need a platform for sharing information.” On Monday, executives talked about “Healthkit,” which will pull together data such as blood pressure and weight now collected by a growing number of healthcare apps on the iPhone or iPad. Meanwhile, in the midst of Apple’s WWDC conference, Google quietly updated its Google+ for iOS app with a new photo-editing user interface and its recently unveiled Google+ Stories feature. For the latter, Google will ask whether you want to review your existing Google+ Stories as soon as you open the Photos section. Although some social media sites, like LinkedIn, are set up specifically for connecting employers with potential employees, others, like Instagram, are a less obvious place to find your dream gig. But you can actually use any social media platform — from Facebook to Twitter to Tumblr — to find a potential job. In Chicago, the Hidden Cash Twitter handle (@hiddencashchi) was created about a week ago. On Monday morning, two residents tweeted photos reporting that they found the hidden money, which appeared to be about $40. Facebook’s lookalike audiences option for targeted advertising is now available via its Ads Manager. The feature had previously been available only through Power Editor. AMC’s “Breaking Bad” is the champion of a new television metric: more second-screen activity on Twitter than any other TV series this past season. The Nielsen company, for the first time, is measuring how many people are reading tweets about particular TV programs the night they are on the air.